Resilience as a concept within the field of environmental sustainability is a relatively new development. Previously, policy makers and sustainability professionals tended to think in terms of Urban Risk or Disaster Risk Reduction (DRR). That is to say, they were concerned with how well cities (as the largest centers of population) would cope with natural disasters like earthquakes and tsunamis, as well as anthropogenic hazards like fires, industrial accidents, or power outages. What planners had in mind were specific threats, whose occurrence was unlikely but possible. As the impacts of climate change became more evident, this model changed. The risks of climate change are chronic: the shocks and stresses will recur, and increase in severity. Climate change also generates long-term stresses, such as increased drought. This is not a one-off threat but a consistently worsening environment. With the emergence of climate change as a threat, it made less sense to think exclusively in terms of reducing the risk of disasters. A mangrove in Queensland, Australia. At this point, people began to talk about the need to adapt to climate change – to the new reality of temperature increases, more frequent storms, and so on. This approach was built on the recognition that the future would be less predictable and more dangerous. It was about bracing for impacts that were inevitable yet uncertain in their timing and scope. 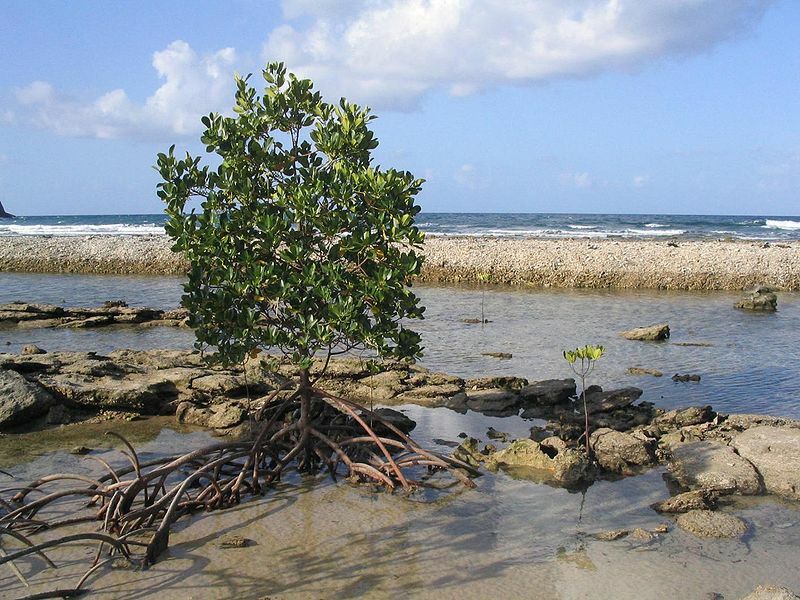 Climate change adaptation in this sense became a lens for urban planning, resulting in projects like adaptive, integrated infrastructure (including parks, green buildings, and “green and blue corridors”) or mangrove restoration. Adaptation is a fairly narrow lens: it helps cities to think about what specific actions they can implement to make themselves less vulnerable to the impacts of climate change. This is helpful, but it can lead to a problem we often see, where responses to climate change and efforts on sustainability more generally are implemented in isolation from the rest of the urban policy. When climate change adaptation is understood as a separate aspect of urban planning, a category that exists in isolation, cities will end up with policies that are limited in their scope and sometimes counter-productive. For instance, it might seem logical to create run-off ponds to reduce the risks of flooding from storms, but as temperatures increase, the same ponds could become breeding grounds for newly endemic mosquitoes. That’s how we have come to the idea of urban resilience as we understand it today. Originally resilience is an ecological term, referring to the ability of a particular system to absorb shocks, recover from them, and survive. In the urban context, it has come to mean not just the ability not just to respond to or recover from any type of unpredictable external shock, but to thrive in the face of ongoing stresses and inevitable shocks. On this understanding of resilience, we have to integrate all aspects of urban planning, and consider the social and economic aspects of urban development. For instance, informal settlements are a social and economic issue, but they are also strongly connected to resilience. When a flood or typhoon hits a city, it is the poor areas that are most strongly affected. Often located in the most risk-prone areas of the city, these settlements bear the brunt of weather extremes, as precipitation can quickly generate deadly landslides and prolonged floods can easily lead to disease outbreaks. 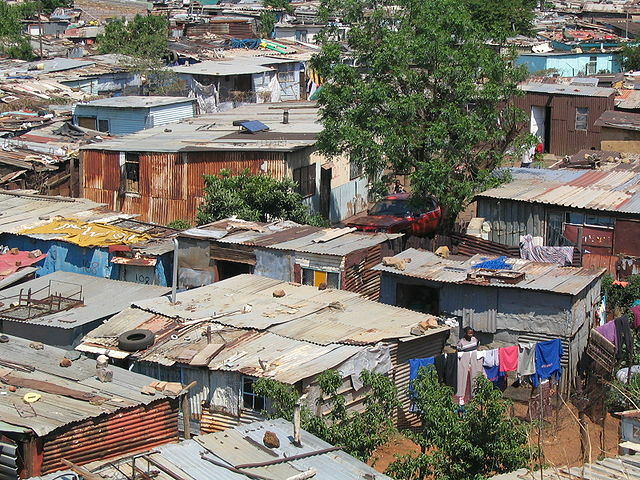 Informal settlement in Soweto, South Africa. Photo by Matt-80 via Wikimedia. However, we should not think only in terms of how local governments can help informal settlements. The vulnerability of poor populations often makes them the most adaptive and resourceful. Participatory, inclusive planning approaches are therefore essential because they work both ways: vulnerable communities learn how to increase individual and collective resilience, and the city also learns about the innovative resilience strategies these communities have already developed. Communities can highlight considerations overlooked by city planners, such as language barriers and cultural differences, which affect how people respond to emergencies. The exciting thing about this new understanding of resilience is that it has brought different communities together, as we have seen at our Resilient Cities congresses. People with backgrounds in security and risk assessment are engaging in dialogue with social scientists and economists. This poses certain challenges, which always arise when the hard and soft sciences come together. In resilience, quantitative data has traditionally been valued: how much will a flood cost in terms of infrastructure damage, and so on. Now there is an increasing recognition of the importance of qualitative data, like the strength of ecosystems or communities. When these considerations are incorporated, resilience building becomes a more participatory enterprise. It also means that resilience is easier to “sell”, because the kinds of integrated solutions being developed can be shown to improve the lives of all communities in cities. This is not to say that resilience has taken over from disaster risk reduction or adaptation. These concepts are a key part of resilience building. But our Resilient Cities congress is shaped around an understanding of resilience as integrated, holistic urban planning. That’s why one of our 10 Urban Agendas is the Resilient City agenda – resilience is one aspect of true urban sustainability. Interested in what you’ve read? Register for Resilient Cities 2016 (6-8 July, Bonn, Germany).